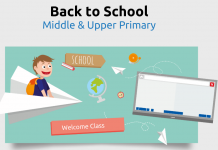 In this lesson, students learn the concepts on multiplication and division after reading the book ‘The Doorbell Rang’ by Pat Hutchins. Throughout the book students use manipulatives to model multiplication and division and once they have finished reading the book, the students role play to show their understanding of division. 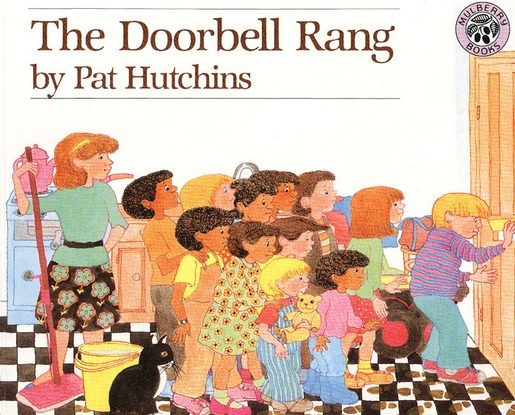 Draw students attention to the book ‘The Doorbell Rang’ by Pat Hutchins and explain to them that we are going to read this book and then have a role play at the end. Show the cover of the book to students then discuss and predict what might happen. 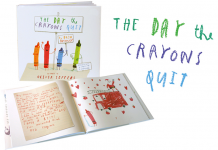 Talk about the author/illustrator. Ask students What they think this book is about and take responses. 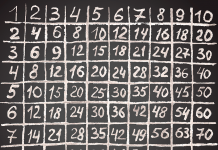 Ask students What they think division is and take responses. Remind students on how to use manipulatives if they do not know what you mean. Once the book is finished, discuss what happened throughout the text and then model how to use manipulatives to show how a picture/image can match a sentence. (E.g. There were 12 cookies that had to be shared between 4 people. That’s 3 cookies each. *** Notice the last bit is like what the children say in the book). Model again with a different number of cookies (E.g 6 between 3 and so on). Now create a table like the one in the worksheet below on the board (or show a copy of the one below) and model how to complete. Allow students who are ready to move off and begin working in pairs or by themselves (ensuring they have all the manipulatives (counters, fake cookies, etc) that they need. Work with students who need a little more assistance on the floor by going back through the book and looking at the division problems that occur every time the doorbell rings. When they understand what is required of them, allow them to move off and work independently or with a partner. Bring students back on the floor to look at the work that they have completed. Ask students if they know of any other food-related division problems that they may have experienced outside of school. Record their responses on an anchor chart labelled ‘DIVISION OUTSIDE OF SCHOOL’ and display as you keep working on the concept. Ask students to keep looking for these with their families and add to the list. Anecdotal notes on understanding of concepts. Collect Cookie Math work tables and correct to check for understanding.